Who says gorgeous interior design needs to cost the earth? Today’s beautiful feature home is sure to re-educate the uninitiated into the wide and varied world of impressive yet inexpensive décor. 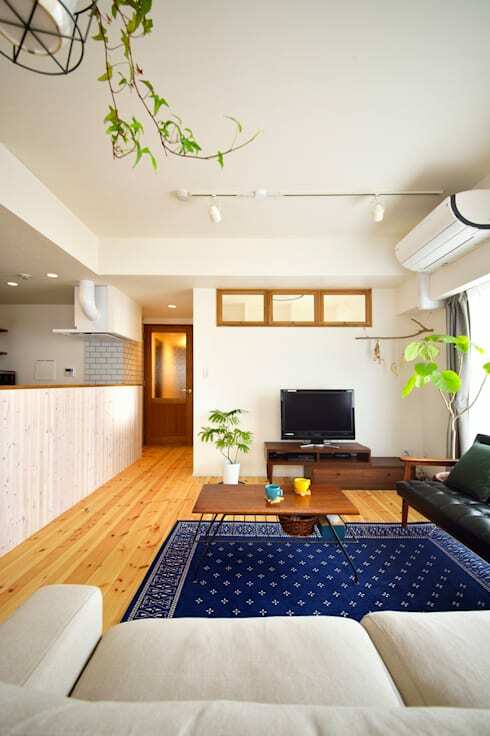 To do this we’ll need to head to Japan to check out a domestic renovation that delightfully ticks all the boxes. 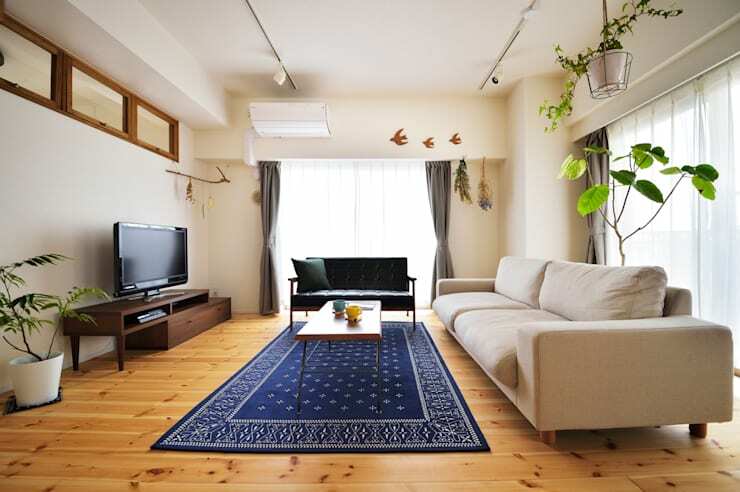 The 11-year-old, 65 square metre apartment has been minimally refurbished for approximately S$93k (7.5 million yen) and was completed in just 2.5 months. The team behind the remodel, stylekoubou, have re-imagined the interior layout to provide a spacious, open and airy floor plan, along with updated electrical and plumbing. The rooms have been renovated to accommodate a growing family, with a new study that could be turned into a nursery in the future. To kick things off we head straight into the living room to check out the new ambience and interior aesthetic. Wonderfully inviting, the space is replete with a combination of earthy tones, and comfy modern furniture. Additionally, indoor plants have been employed to contrast the crisp cream colour scheme, while working beautifully alongside the natural finishes. However, there are also plenty of dark colours to create a bold and dramatic aura. 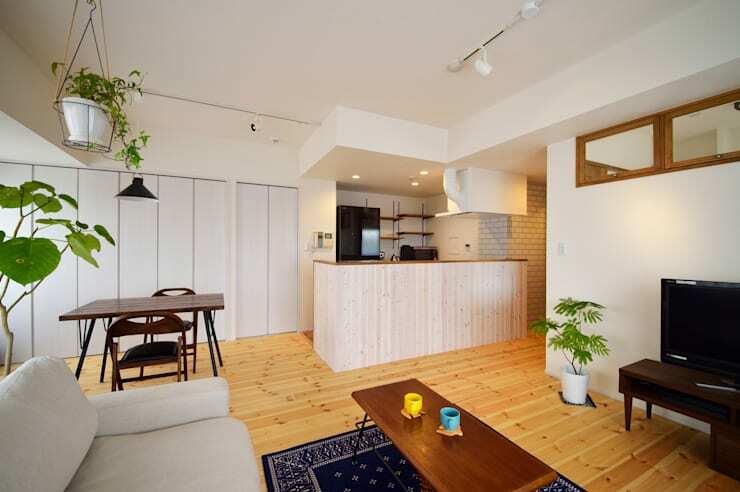 As the apartment was built 11 years ago, the apartment needed to be upgraded to suit the couple’s changing lifestyle patterns and possibly a child in the future. The new design is bright and lively, and offers a highly versatile layout. The home boasts plenty of natural materials, and this is definitely visible in the entrance. 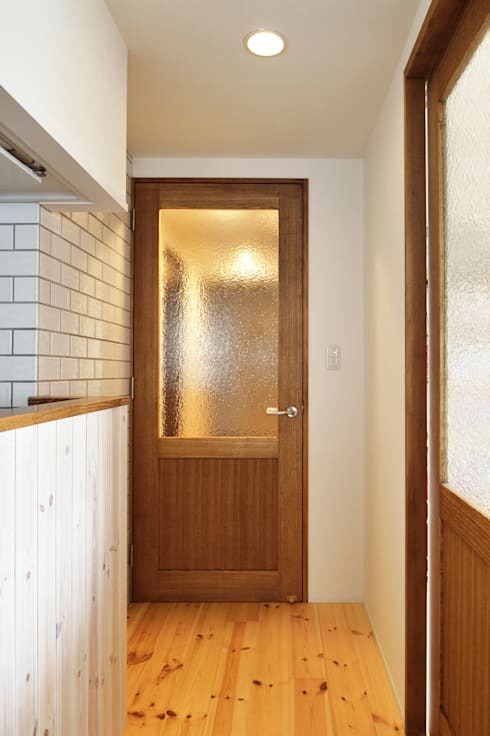 The door we see here is a stylish timber and glass combination that leads into the hallway and other rooms. We’re also able to see the timber floorboards, and the whitewashed panelling that has been used to conceal the kitchen. This combination is stylish and rustic at the same time, with an enduring yet modern atmosphere. Reconfiguring the apartment’s interior allowed for an open-plan layout with a social dynamic and a welcoming ambience. 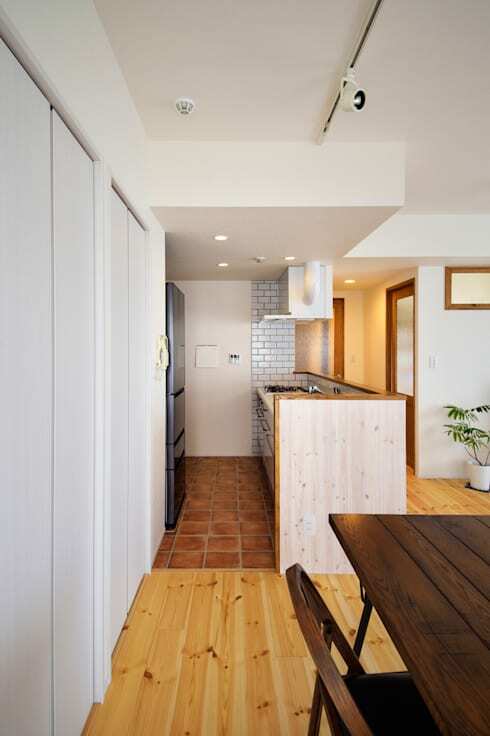 In this image we see the kitchen that is nestled in the corner of the space, bordered by a half wall of whitewashed timber, which we saw in the above image. This new design allows individuals to cook food in the kitchen, while still communicate with the other household members or friends who are situated in the dining or living room. The kitchen is constructed against one wall, with a built-in peninsular that juts out from the opposing side of the space. This ensures a galley-esque setup, boosting functionality and increasing storage. Refreshing and easy to access, this new kitchen is ideally poised to service the dining room, which sits alongside in its own segregated yet open space. 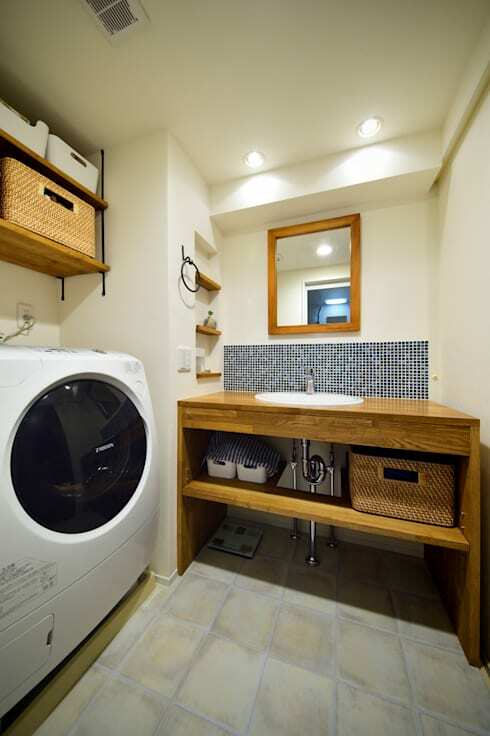 Here at homify we love to see a clutter free and workable laundry! This room definitely ticks all the boxes, with style, practicality, efficiency and organisation all rolled into one. The designers have included an open timber vanity offers space to store utility room essentials, while the large washer is tucked into its own perfectly measured cut out. As we know, the couple that have revitalised this apartment wanted to ensure their layout was flexible, as well as able to accommodate a baby should they be blessed with a little one. The furniture and interior setup definitely show that this is a space ideal for families, with plenty of room to play and areas to move. Additionally, at the low cost of S$93k, the pair has managed to save money, ensuring they can continue saving for other lifestyle choices and developments in the future. What ideas and inspiration did you glean from this design?